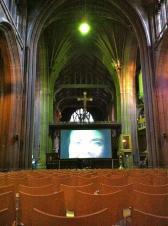 Preparing St. Mary's Church for the Halloween night screening of Nic Roeg's 'Don't Look Now'. 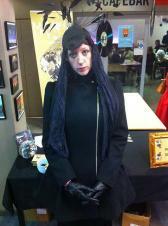 Mayhem's Annie as an Italian widow, in homage to 'Don't Look Now'. 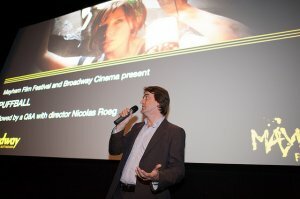 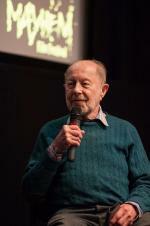 Steven Sheil introduces the screening of Nic Roeg's 'Puffball' at Broadway Cinema, Oct. 31st 2013. 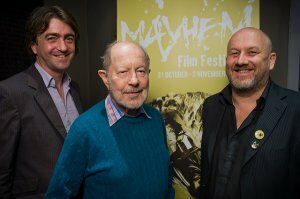 Mayhem's Steven Sheil and Chris Cooke with Nicolas Roeg at Mayhem Film Festival 2013. 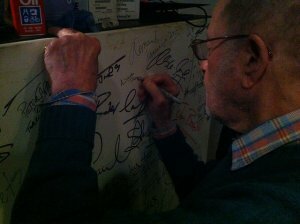 Nic Roeg signs the famous Broadway Screen Two projector. 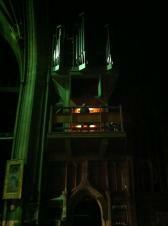 The organist playing in St. Mary's Church, welcoming the audience for Nicolas Roeg's 'Don't Look Now'. 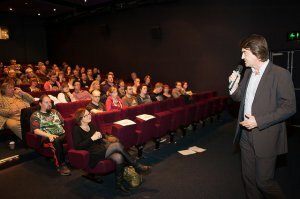 The audience waits for the screening to begin. 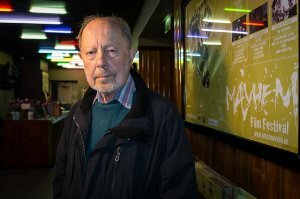 Screening of Nicolas Roeg's 'Puffball' at Broadway Cinema, Nottingham. 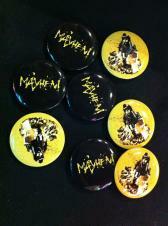 Oct 31st 2013. 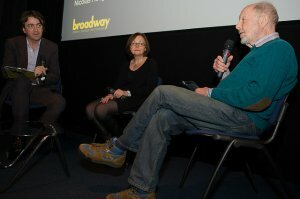 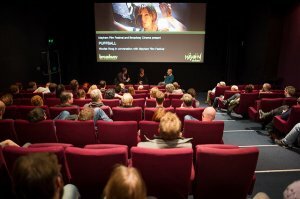 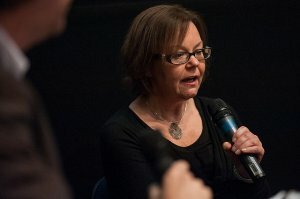 Q and A with Nicolas Roeg, Producer Julie Baines and Mayhem's Steven Sheil. 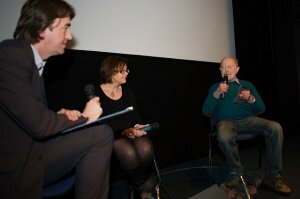 Photograph by Ash Bird. 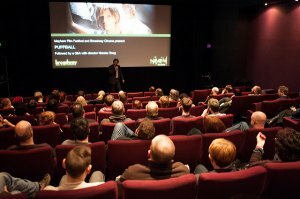 Screening of Nicolas Roeg's 'Puffball' at Broadway Cinema, Nottingham. 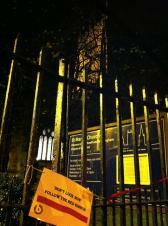 Oct 31st 2013. 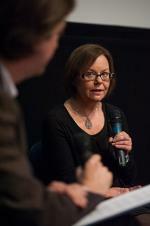 Photograph by Ash Bird. 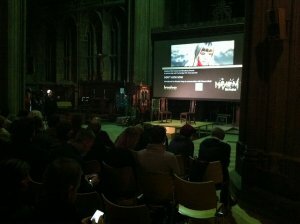 Halloween screening of 'Don't Look Now' at St. Mary's Church Nottingham, with special guest Nicolas Roeg. 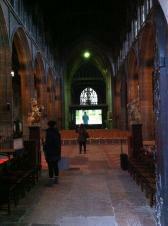 Photograph by Ash Bird. 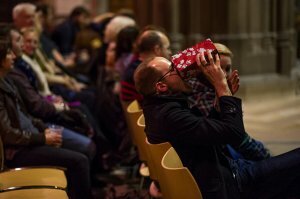 The way to the screening of 'Don't Look Now'.